Yesterday we finally officially started to build our reading stamina. We have been talking about it and building up to it for several weeks now. I started by reading Dex Heart of a Hero. 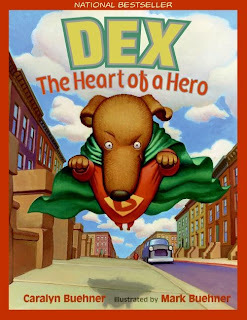 I linked Dex's training and practice to become a super hero to our training and practice to become great readers. This book is perfect for teaching little ones how to and what it means to build reading stamina. I set our goal for the first day for 1 minute... we made it for 30 seconds. Lol. I made a large stamina chart so that it would be easy for my little ones to read and to follow. For the first few days I will place my students where I want them to read. I am trying to make sure they have a solid understanding of where in the room they can work before I give them the freedom to make their own choice. By the end of the week I will hand the choice over to them and no longer make the decision for them. Yesterday we also started shopping for new books. One table per day gets to shop. For example: every Monday the red table shops, every Tuesday the orange table, and so on. The class that I had last year damaged so many of my books that I am starting with the school's books this year. We will start shopping from my books when I see that my students can take care of the school's books. Each student has 3-4 look books and 2 readers in their book box. Right now I am using Harcourt readers from a previous state adoption as the leveled books in their boxes. I have a full set of these in my room so its convenient to use them. As my students advance in their reading I will begin using readers from our literacy room. Today we revisited Dex and what we need to do to build our reading stamina. I found the idea for this anchor chart on Pinterest. It came from Mrs. Jones's Kindergarten and Everything Primary. I related us having reading super powers to Dex from the day before. We also reviewed our three ways to read a book chart. I explained that our reading super powers would help us when we read the words in books. We made the chart together and then we practiced using each power in a whole group before going off to read to self. We will continue to practice our reading super powers as a whole group for awhile. I will also model the behaviors when I use big books for shared reading. I'm so glad I came across your blog. Very cute blog! I'm a preschool teacher and have found this pretty resourceful and have gotten some great ideas. For my classroom this year I bought some horseshoe shaped preschool tables so the kids can work together in a circle and it makes arts and crafts time so much more fun! I am so excited to read Dex to my incoming class! I love your anchor chart, can you/do you mind sharing your print and graphics for your chart?!? Tish -email me and I will share the chart with you. I am wondering if you could share your Super Reader chart with me as well? It would be much appreciated! Could you share where you got your large green and blue handled baskets for book storage along the back wall of the picture where the children are shopping for books? I love this post! I will be doing kindergarten Daily 5 for the first time next year and love these ideas!! Melissa- All of my book storage buckets came from The Dollar Tree. Thank you so much, April!! I love your blog! I'm always excited to find people who are willing to share great ideas. Would you mind sharing your Super Reader chart information with me as well? I'm planning to work on preparing materials during the summer so that I'll be ready by fall. Thank you so much for your creative tips! Great blog. I really like your ideas. I will be teaching kindergarten for the first time next year! Would you mind sharing your Super Reader chart information with me as well? I plan on getting a head start on my anchor charts this summer. I love this post! Would you share your anchor chart with me? I love the chart. I would love a copy of it. My kinders would really benefit from it. I love this! Could I please have a copy for my kinder kiddos! I love this. Could you please send me a copy for my kinders. aawax@mchsi.com Thanks!! Hi there! I LOVE your reading powers reading anchor chart. Would you be willing to share it with me? MY kiddos will love it too! We use finger flashlights from dollar store to help us 'lazer beam' our words- but even my low ESL are talking in sentences! Where did you get these words? I would love to make an anchor chart for my kiddlets. ALSO we have started to make our own books using photos of kids and book creator (an app). This week it was using the word 'smaller/taller' with a tower they built outside. Email me and I will send you the anchor chart words. Hi! We just started with our reading Super Powers. Would you send me the anchor chart words? I would love to make this for my classroom. There are the students who have been keen to regard about every possible stance which they must needed to acquire and surely these will further bring around the vital aspects. Could I please have a copy or direct me to where I could purchase the clipart and words for this wonderful anchor chart? Hi there! As a second grade teacher with 31 years experience, I just wanted to share I love your energy, focus, positive words, and great ideas! I would appreciate it if you would forward the info you are sending others about the superhero reading chart ttownsell@aol.com . I will be subscribing to your blog. Thank you for today's inspiration!! P.S. Saw you had a naysayer; let that be a reflection on "Home Design", and not on you--you are fab! I love your blog. Could I get a copy of your super hero chart please. I love your blog and your Reading Super Powers anchor chart too! Would you mind sending it to me as well? My email is kbundy@ridgefieldacademy.org. Thanks so so much!! Good Morning! I love the anchor chart you used for the Super Powers! We are starting this unit as well this week! would you mind sharing it with me to use in my class? Thank you! I love the Reading Super Powers anchor chart. Would you mind sending me the pieces for the chart? My email is jen.orzechowski@gmail.com. Hi, I love the Reading Super Powers anchor chart. Could you please send me the file? My email is GennieKay@hotmail.com. Thanks!!! Hi, I love the anchor chart. Could you please send me the file? My email is nlopez18@sbcglobal.net Thanks!